Just off to visit Malcolm Emery (E Sussex Reserves Manager, Natural England) at Castle Hill Nature Reserve – helping with the clearing of the Newmarket Farm site. I thought it might be useful for me to quickly post some more images of the site before heading off. 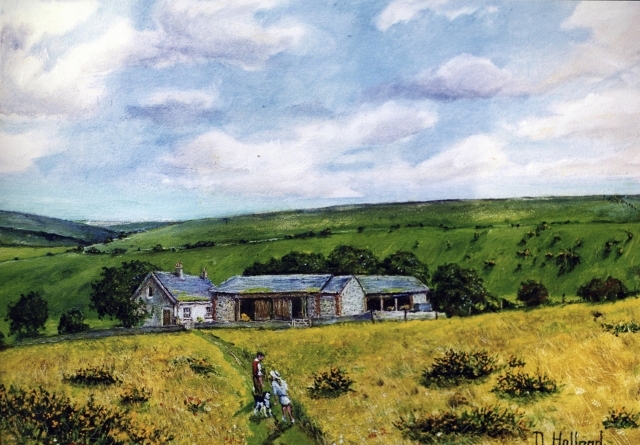 This is an artist’s impression of Newmarket Farm. My great-uncle Dougie Holland used to visit his sister’s family, though when he painted it – about ten years ago – he admitted he didn’t really remember very much of what it used to look like. 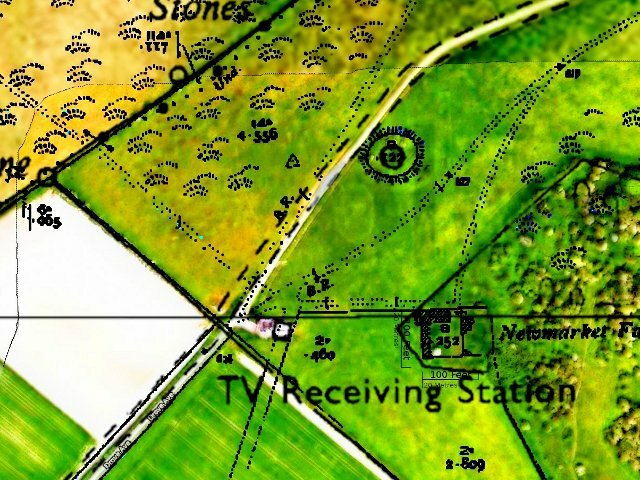 This is an overlay map of the site I created based on old and recent Odnance Survey maps and a Google satelite image showing Newmarket Farm’s approximate location.